Remember when I introduced you to my new baby, aka my fab little tea machine, the MASTER.T by SPECIAL.T? Well, the machine has been used on the daily, ever since. And I wouldn’t trade it for gold! 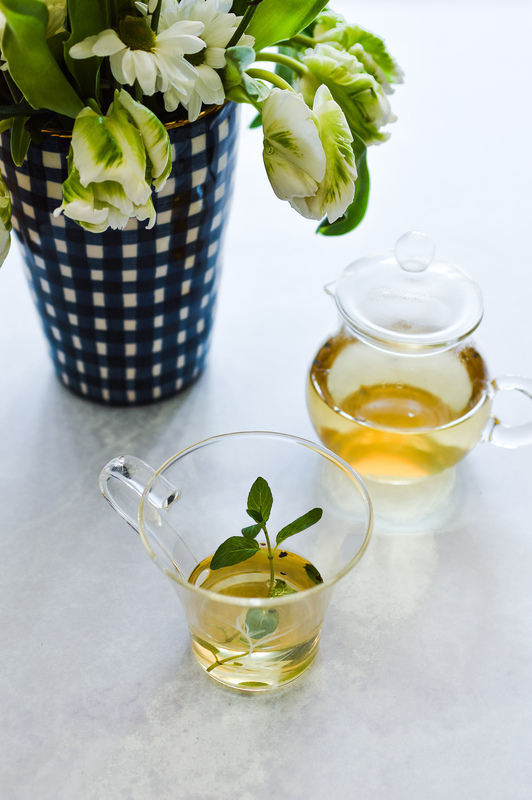 My new motto: the best tea – the best way. Okay, so I stole that one, technically. But it’s just so accurate. 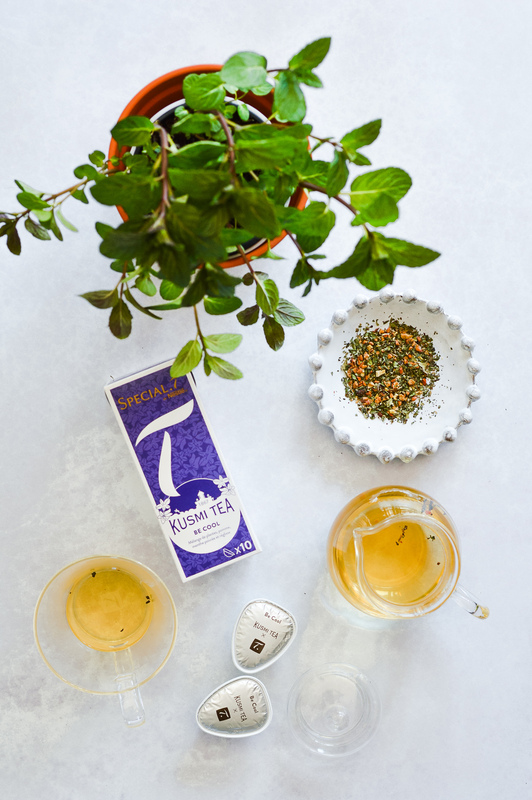 When I pitch my tea machine to friends (and basically anyone who’s not asking, ahaha) I pull all the stop to be as convincing as possible, because, I just really want to share my happiness – and gains in the fields of convenience! – with all of you fellow tea lovers. And I know we’re a crowd. So I ask myself daily: who can I make someone happy today, by sharing the gospel about my SPECIAL.T addiction..? Not even kidding. Not to make it boring, SPECIAL.T have since taken care of some major news. And trust on them to make it extra SPECIAL (pun intended). 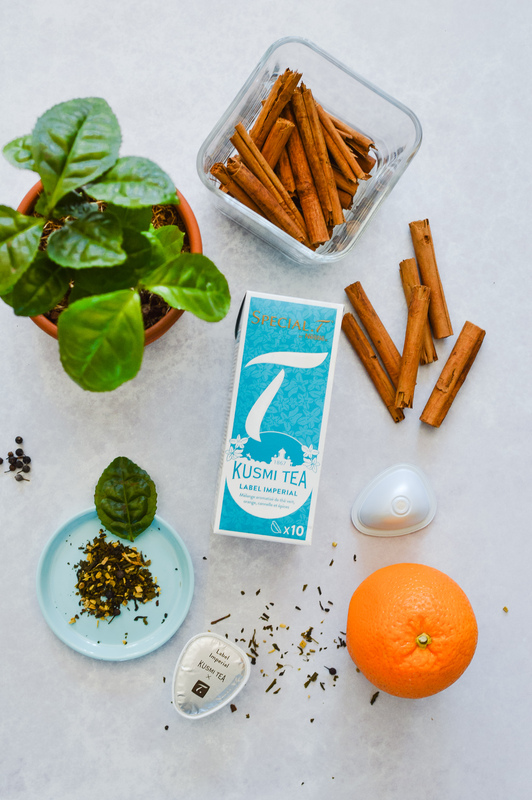 Fanfare: they have teamed up with the iconic, beloved tea brand Kusmi Tea. 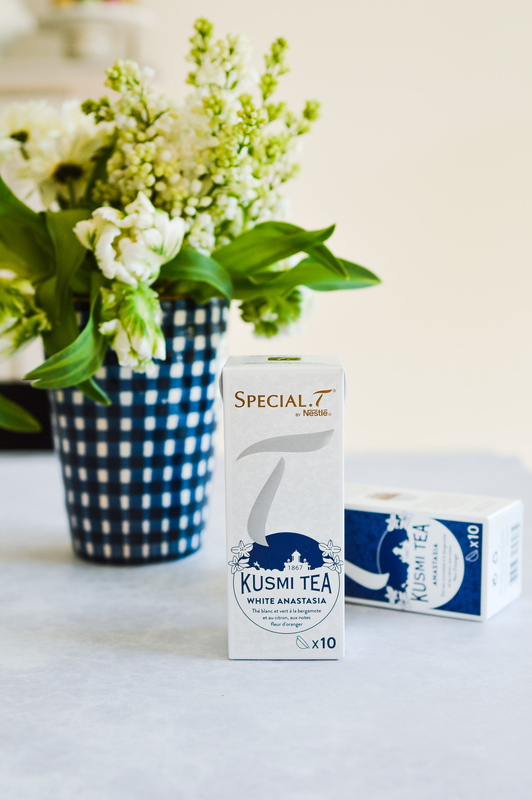 Thanks to the house’s 150 years of savoire faire à la Française, Kusmi Tea creates outstanding tea experiences. 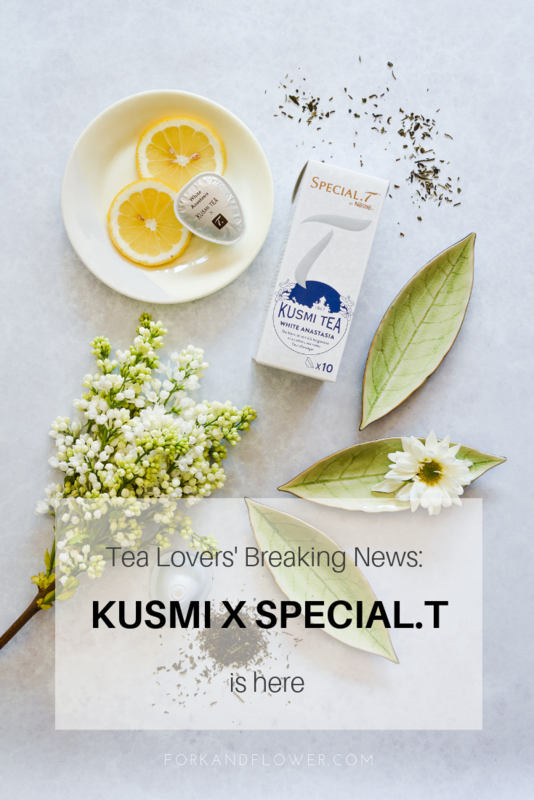 Kusmi X SPECIAL.T certainly is an alliance between avantgarde and exception. 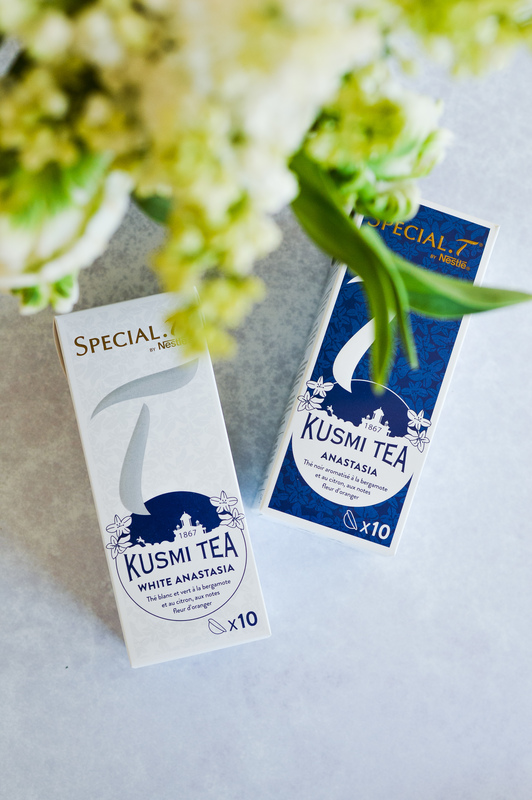 The result is an exclusive new range of four new tea varieties that are typical for the reknown and loved tea house Kusmi: Anastasia, White Anastasia, Be Cool and Label Impérial. To say that I was excited as I heard the news is a bit of an understatement. Why exactly is it pee-my-pants-excitement kind of news? One, for those who know me well know that I’m an absolute Kusmi Fanatic. 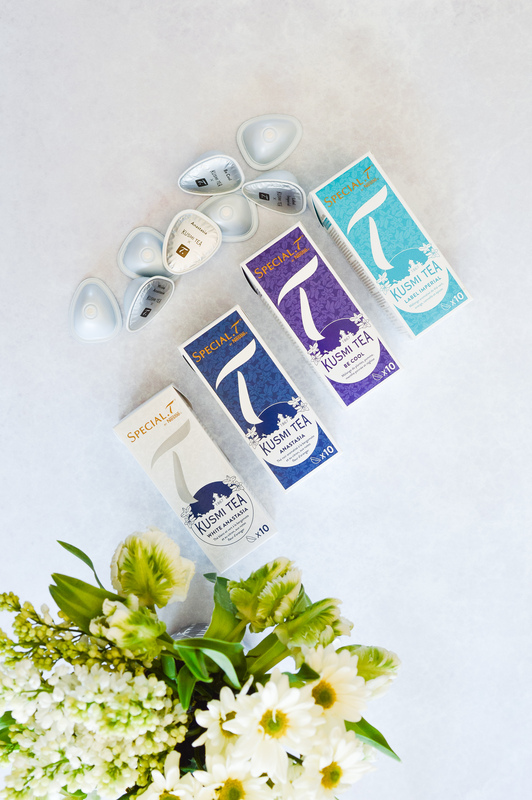 My love affair starts with their packaging and does not stop when I drink their teas. Inhale, exhale. Secondly, Be Cool is probably my favorite tea, ever. 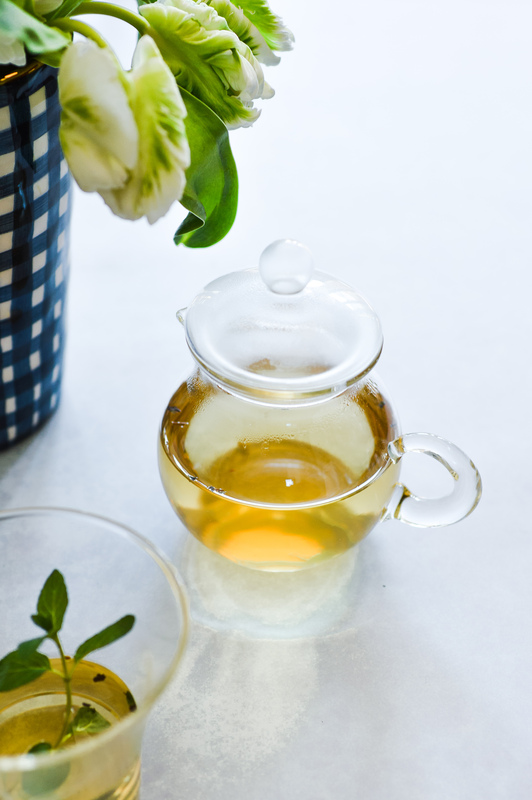 It is the perfect herbal tea blend, with lots of depth, spiciness, warmth and softness. Liquorice is always a favorite in teas! 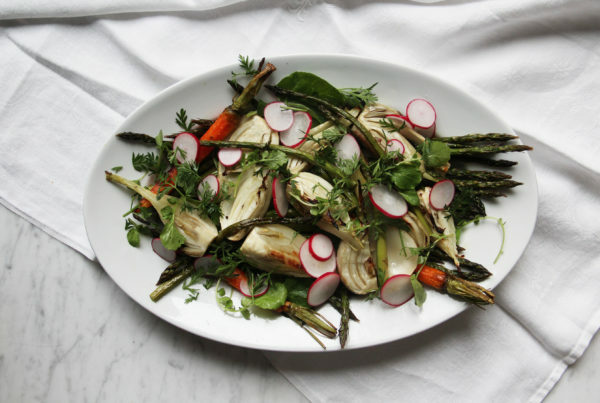 Together with hints of mint it just adds to that certain je ne sais quoi. Duh, tea is so hard to describe, haha. Try it, Be Cool is like a hug in a mug. And it’s also great consumed cold (which, my guess is, must be the reason for its name! ), as an iced tea. 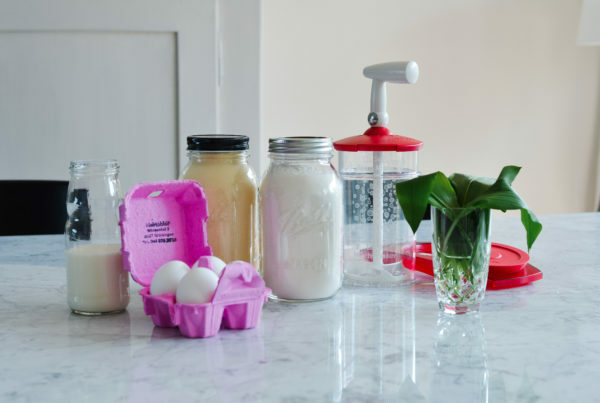 Your guests will thank you. But, as I was invited to the (quite posh – have you followed me along on Stories?) 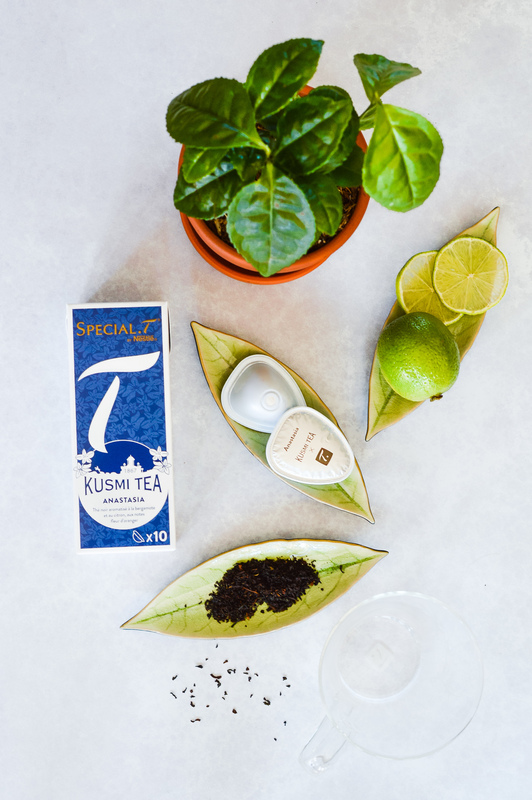 launch event at the Habitat & Jardin in Lausanne a week ago, where SPECIAL.T’s very own tea sommelière was also present and leant us hear ear, I learned so much about tea – in general. 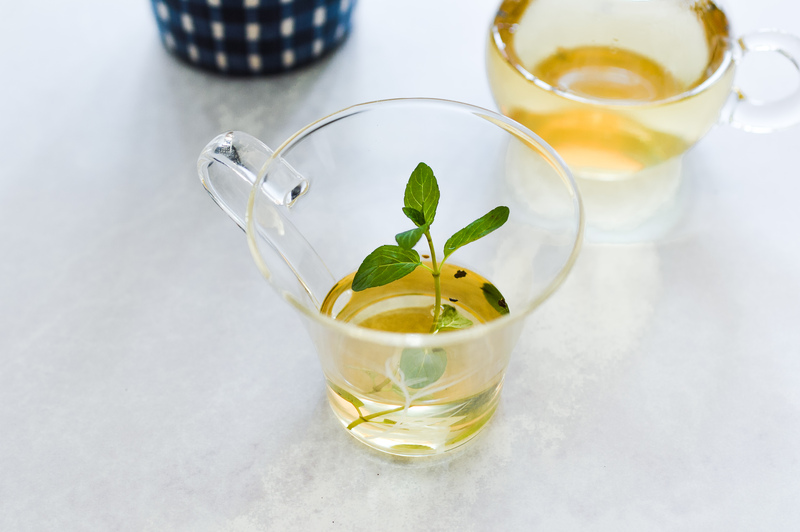 I can finally tell the difference between black, green and white tea! You guys, I could have just asked Everyone’s Best Friend Mr. Google, right, but somehow I never did. I knew they were all from the same “family”, or plant, really. The tea tree. But anyways, so I’m a total convert. 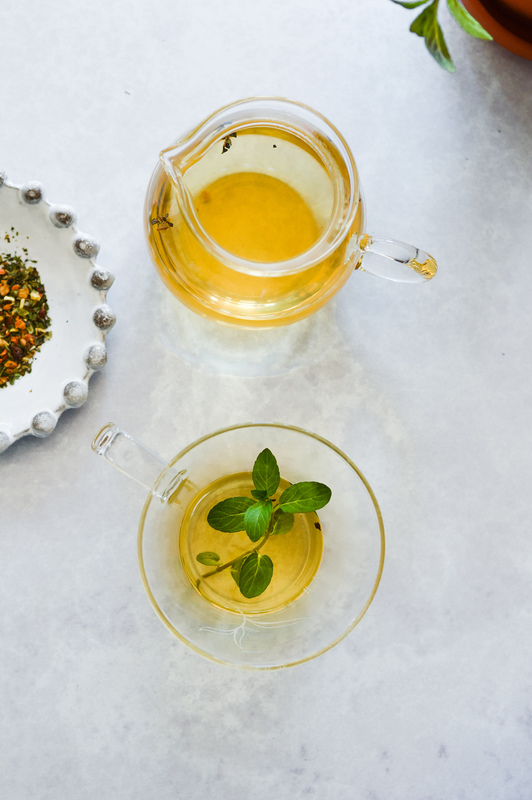 And even more glad I’m not a coffee drinker, du tout, because tea is just that much more en vogue, healthy, chic – you name it! 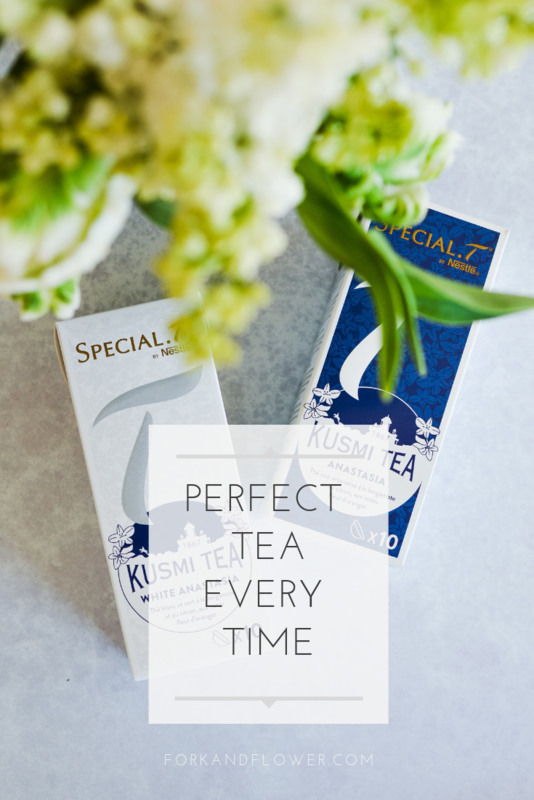 Of course we drank lots of tea at the event and I promptly also fell in love with the three other specialties from the Kusmi X SPECIAL.T range. There was even a very fancy tea & food pairing tasting menu. Because why not? 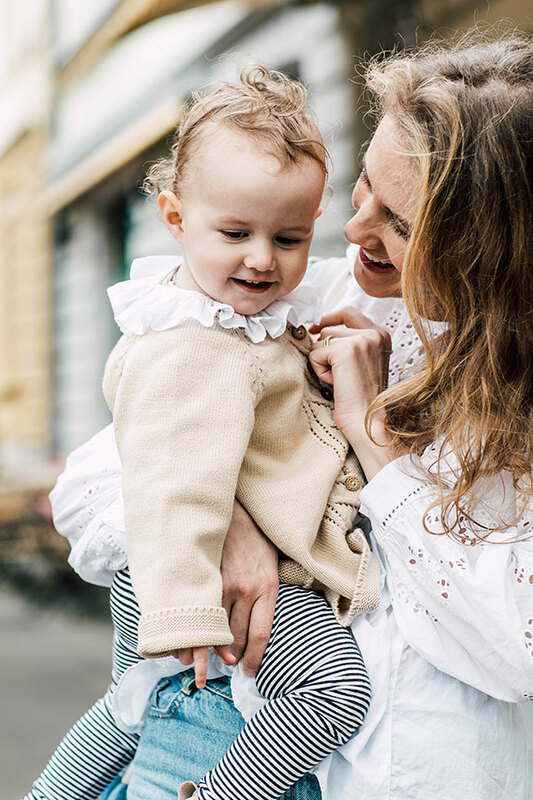 Since I’m newly pregnant (SPOILER ALERT – now it finally shows who actually reads my blog – and to the end, yeah? ahaha) I embraced the initative of an alcohol free, top-notch culinary experience very much. What’s fancier than an ice cold and bubbly tea, sipped luxuriously out of champagne coupes, instead of actual champagne? As good to toast as any other bubbly. Together with my three fellow SPECIAL.T ambassadrices bloggers – I call it: the SPECIAL.T squad, because I always wanted to belong to an actual squad (#goals) – Aline, Anouck and Barbara, we toasted with tea, tasted fancy food, talked about our favorite teas well, generally had a wonderful time. Did I become a bit (more) of a tea snob? The answer is yes. The fact that I took home my own, real babx tea tree plant only adding to my love of tea. 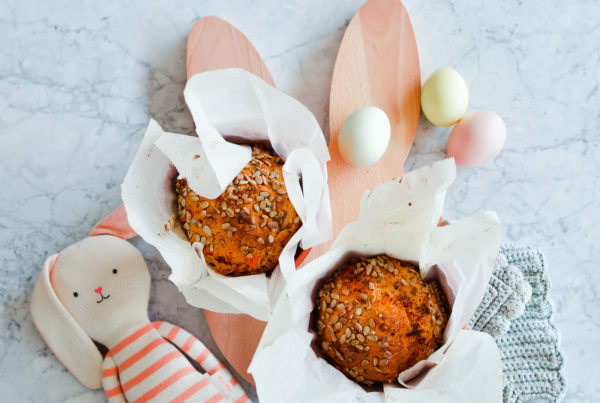 It currently sits on our not-so-fabulous / gotta-make-it-ready-for-spring balcony, enjoying the first rays of sunshine. I’ll take good care of it, with my black thumb. 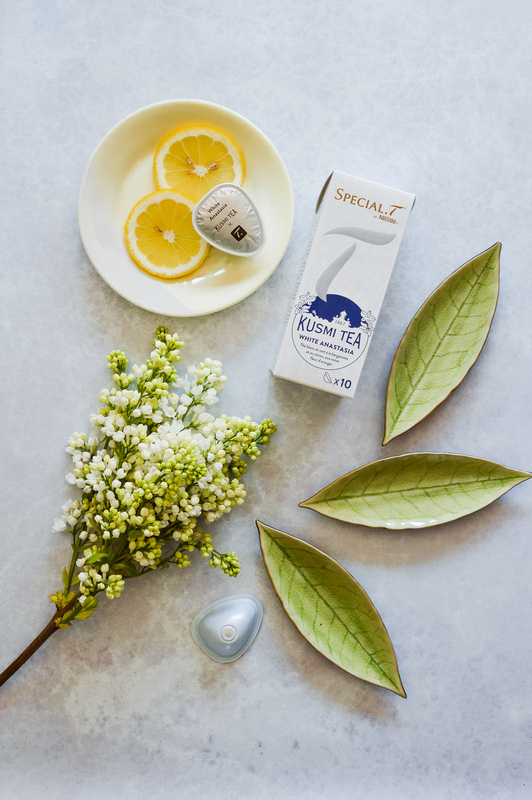 But I’m also glad the crew take good care of their blogger squad: for now I have enough SPECIAL.T to keep me going… Just in case my very own inhouse tea production isn’t going so smoothly. So glad I get to share this experience with you all. I’ll make sure I’ll keep you posted on future news (there is more, I feel it) in due time. Until then, cheers, with tea! Thank you SPECIAL.T for sponsoring this post.